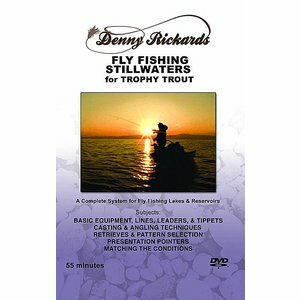 DVD-Fly Fishing Stillwaters for Trophy Trout-Rickards, Big Trout are not easy to catch and having the right equipment is essential to the task. DVD-Fly Fishing Stillwaters for Trophy Trout-Rickards, Big Trout are not easy to catch and having the right equipment is essential to the task. 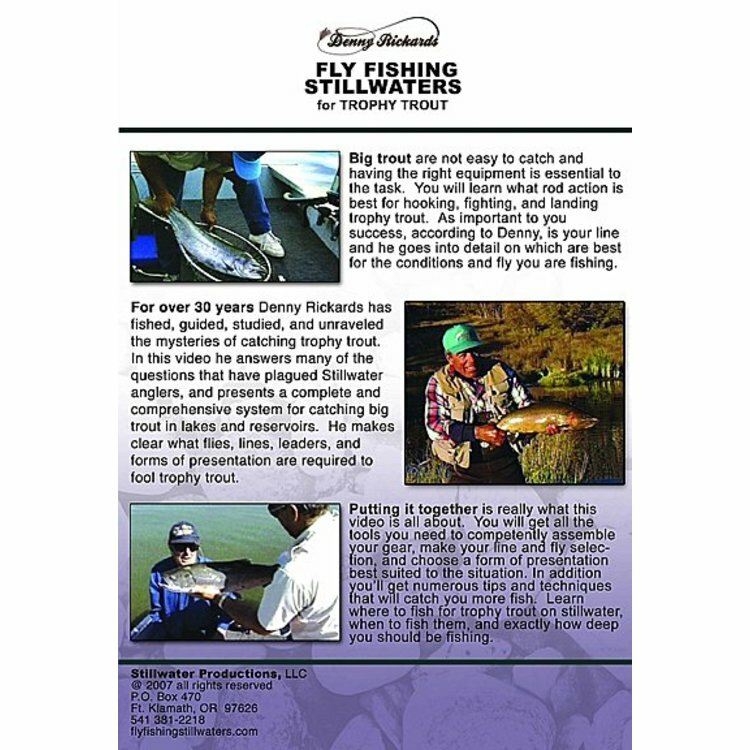 You will learn what rod action is best for hooking, fighting and landing trophy trout. As important to your success, according to Denny, is your line and he goes into detail on which are best for the conditions and fly you are fishing. 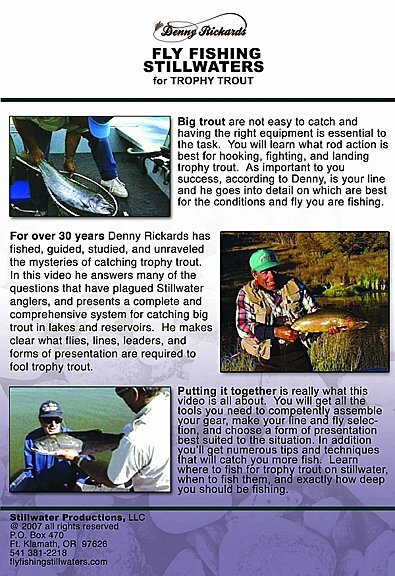 For over 30 years, Denny Rickards has fished, guided, studied and unraveled the mysteries of catching trophy trout. 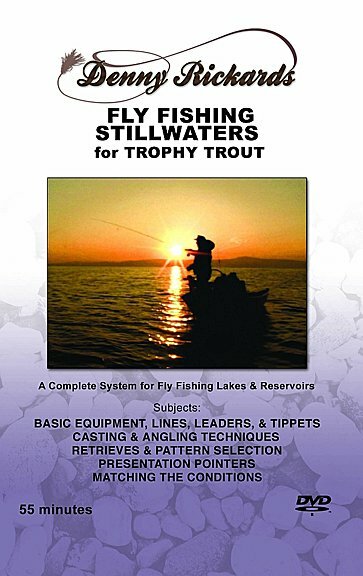 In this DVD he answers many of the questions that have plagued stillwater anglers and presents a complete and comprehensive system for catching big trout in lakes and reservoirs. He makes clear what flies, lines, leaders and forms of presentation are required to fool trophy trout. Learn where to fish for trophy trout on stillwater, when to fish them and exactly how deep you should be fishing. DVD. 55 Minutes.